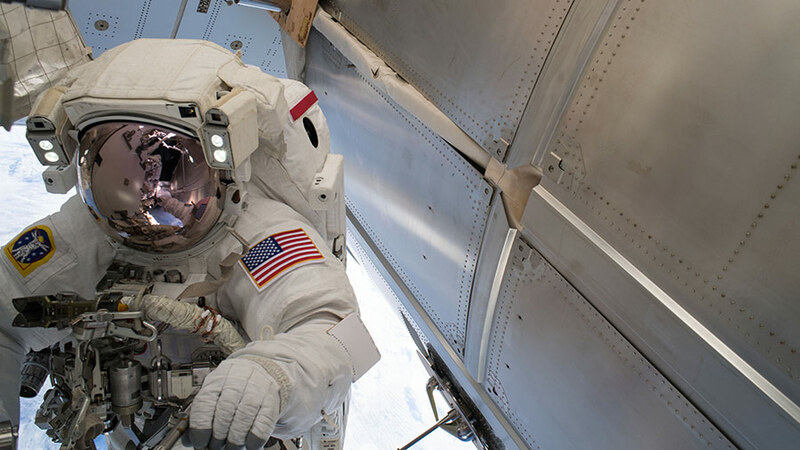 Astronaut Drew Feustel is pictured outside of the Tranquility module during a spacewalk on May 16 to swap thermal control gear. The Expedition 55 crew members had a full complement of work today as they conducted microgravity research, trained to capture a resupply ship and prepared for a June spacewalk. 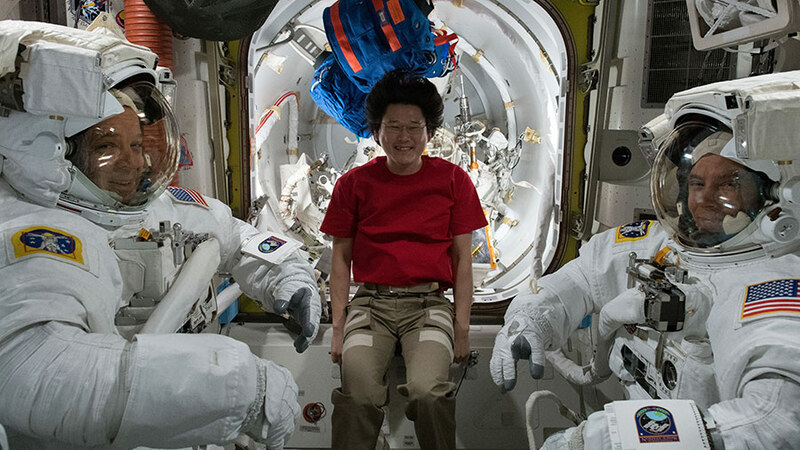 Astronaut Norishige Kanai explored how living and working in space affects everything from fluid physics to the human body today. He first set up hardware to visualize how water atomizes in microgravity possibly improving the production of spray combustion engines. Next, he researched how spaceflight is impacting his brain structure and function, motor control, and multi-tasking abilities. 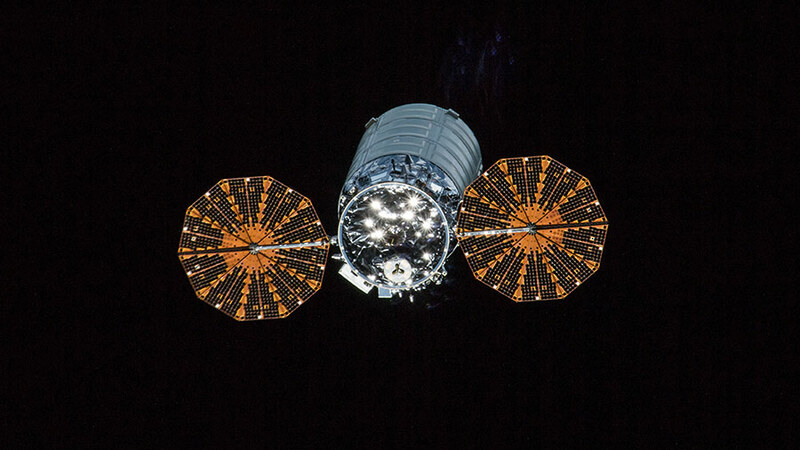 Later he joined fellow Flight Engineers Scott Tingle and Ricky Arnold to practice the robotics techniques necessary to capture the Orbital ATK Cygnus resupply ship. The trio trained on a computer to simulate the operation of the Canadarm2 when it reaches out and grapples Cygnus on Thursday. The commercial space freighter is due to deliver over 7,400 pounds of crew supplies, station hardware and science experiments when it arrives Thursday at 5:20 a.m. EDT. 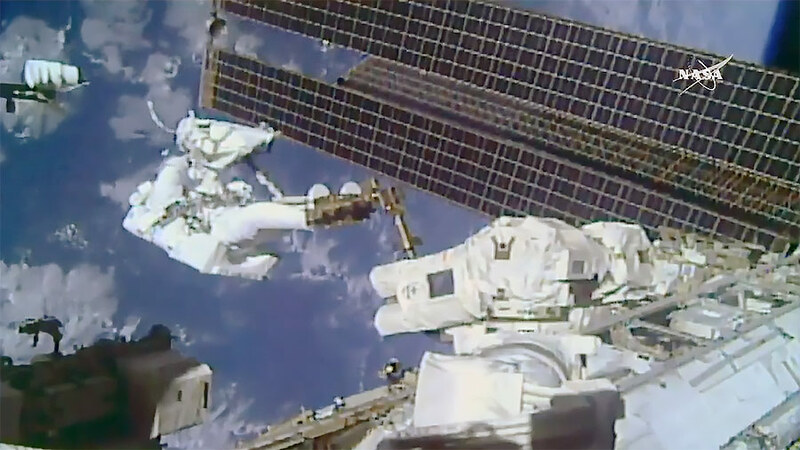 NASA TV will broadcast live the approach, rendezvous and capture of Cygnus beginning at 3:45 a.m.
NASA Flight Engineer Drew Feustel worked on U.S. spacesuits today ahead of the next spacewalk planned for June 14. 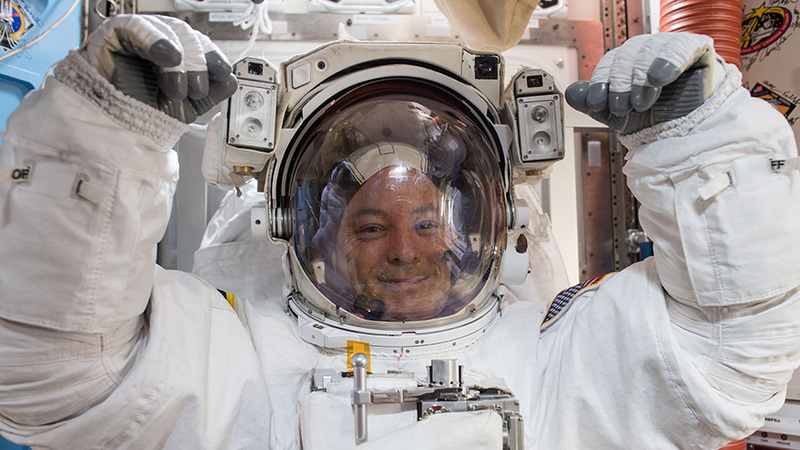 He scrubbed the spacesuit cooling loops, collected water samples and organized tools in the Quest airlock. 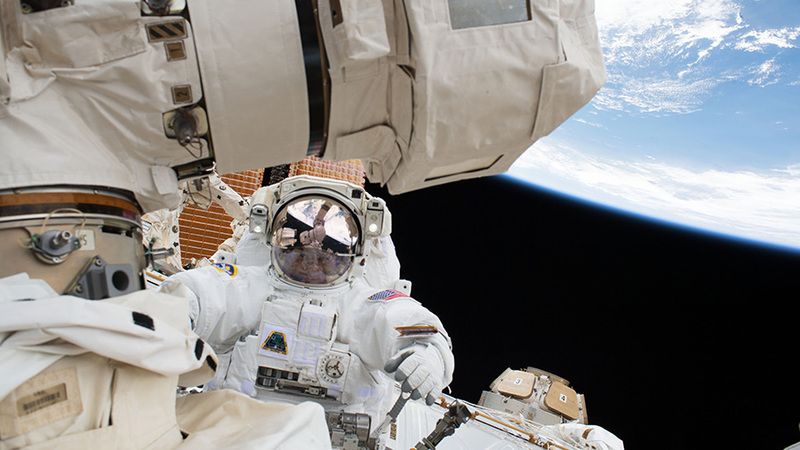 The veteran spacewalker has a total of eight spacewalks having worked in the vacuum of space for nearly 55 hours. He will partner with Arnold, who has four spacewalks for over 25 hours, June 14 to install high definition cameras on the Harmony module. The Cygnus spacecraft with its cymbal-like UltraFlex solar arrays deployed was pictured departing the space station Dec. 5, 2017 during Expedition 53. The cargo ship will rendezvous with the International Space Station on Thursday, May 24. Expedition 55 Flight Engineer Scott Tingle will grapple the spacecraft at approximately 5:20 a.m. EDT, backed by Ricky Arnold, and Drew Feustel will monitor Cygnus systems during its approach. They will use the space station’s robotic Canadarm2 to take hold of the Cygnus, dubbed the S.S. James “J.R.” Thompson. After Cygnus’ capture, ground controllers will command the robotic arm to rotate and install Cygnus onto the station’s Unity module. It is scheduled depart the space station in mid-July. Live coverage of the rendezvous and capture will air on NASA Television and the agency’s website beginning at 3:45 a.m. Thursday, May 24. Installation coverage is set to begin at 7:30 a.m. The Ice Cubes Facility, the first commercial European opportunity to conduct research in space, made possible through an agreement with ESA (European Space Agency) and Space Applications Services. 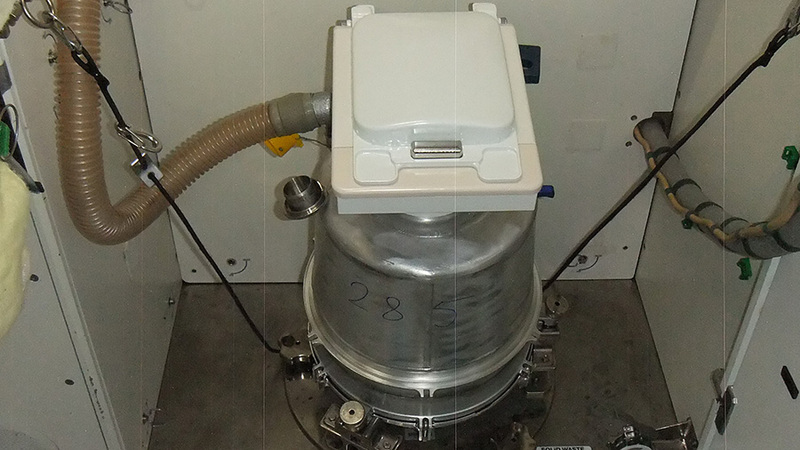 The Microgravity Investigation of Cement Solidification (MICS) experiment is to investigate and understand the complex process of cement solidification in microgravity with the intent of improving Earth-based cement and concrete processing and as the first steps toward making and using concrete on extraterrestrial bodies. RainCube (Radar in a CubeSat) will be NASA’s first active sensing instrument on a CubeSat that could enable future rainfall profiling missions on low-cost, quick-turnaround platforms. TEMPEST-D (Temporal Experiment for Storms and Tropical Systems Demonstration) is mission to validate technology that could improve our understanding of cloud processes. CubeRRT (CubeSat Radiometer Radio Frequency Interference Technology) will seek to demonstrate a new technology that can identify and filter radio frequency interference, which is a growing problem that negatively affects the data quality collected by radiometers, instruments used in space for critical weather data and climate studies. The Cygnus spacecraft from Orbital ATK blasts off atop the Antares rocket from NASA’s Wallops Flight Facility in Virginia. Orbital ATK’s Antares rocket carrying the Cygnus cargo spacecraft lifted off at 4:44 a.m. EDT and is on its way to the International Space Station. At the time of launch, the space station was traveling at an altitude of about 250 miles, over the central south Atlantic. An hour and half after launch, commands will be given to deploy the spacecraft’s UltraFlex solar arrays. Launch coverage will resume on NASA TV at http://www.nasa.gov/live at about 5:45 a.m. for solar array deployment, which is expected to last about 30 minutes. A post-launch news conference will follow and is scheduled to begin on NASA TV at approximately 7:00 a.m. The Antares rocket from Orbital ATK makes its way to the launch pad at Wallops Flight Facility in Virginia. 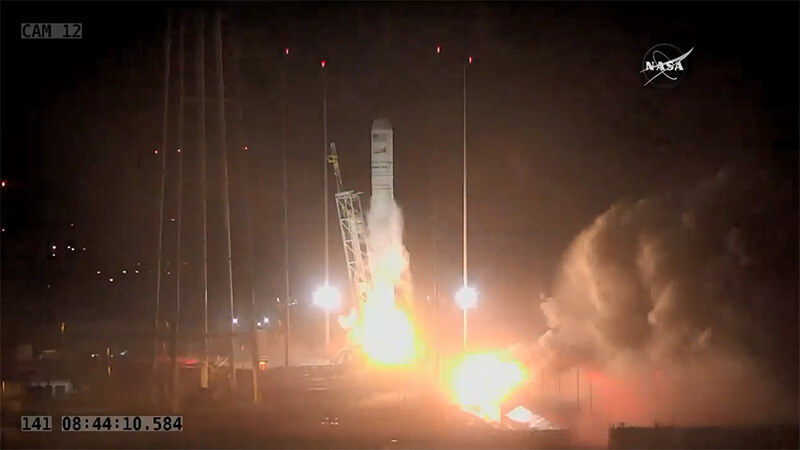 The Antares will launch the Cygnus spacecraft on a cargo resupply mission to the International Space Station. 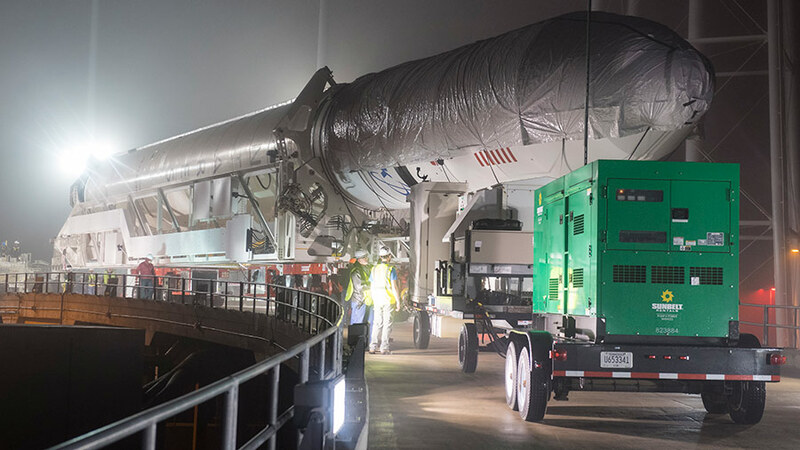 The Orbital ATK Cygnus cargo craft that will resupply the Expedition 55 crew on the International Space Station rolled out to its launch pad Thursday night. Cygnus is now targeted to blast off atop the Antares rocket Monday at 4:39 a.m. EDT from Wallops Flight Facility in Virginia. NASA TV will begin its live broadcast of the launch Monday at 4 a.m.
Orbital ATK and NASA managers moved Cygnus’ launch to no earlier than Monday to support further pre-launch inspections and more favorable weather conditions. Monday shows an 80% probability of acceptable weather for launch. Cygnus is packed with 7,400 pounds of new science experiments, crew supplies and space station hardware. It is scheduled to arrive Thursday at the space station for its robotic capture at 5:20 a.m. NASA TV will cover the approach and rendezvous activities starting at 3:30 a.m.
Three NASA astronauts, Scott Tingle, Ricky Arnold and Drew Feustel, have trained for weeks to get ready for Cygnus’ arrival on Thursday. Tingle will be operating the Canadarm2 from inside the Cupola and command the robotic arm to grapple Cygnus. Arnold will back him up on the robotics controls and Feustel will monitor Cygnus and it systems during its approach. Robotics engineers on the ground will then remotely install the commercial space freighter on the Earth-facing port of the Unity module later Thursday morning. One of the new experiments being delivered aboard Cygnus to the orbital laboratory will study atoms frozen to a temperature 10 billion times colder than deep space. The Cold Atom Lab will observe the quantum phenomena possibly leading to advanced spacecraft navigation techniques and quantum sensors that can detect gravitational and magnetic fields. 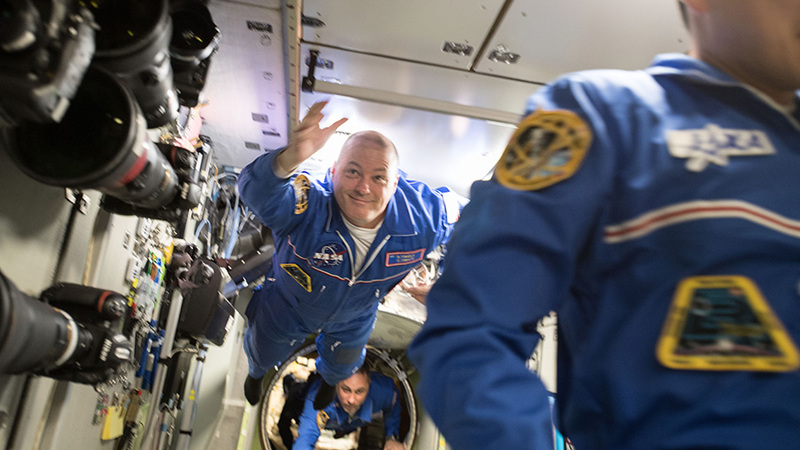 Newly arrived Flight Engineers Scott Tingle and Anton Shkaplerov float into the Zvezda Service Module during an International Space Station tour and safety briefing. 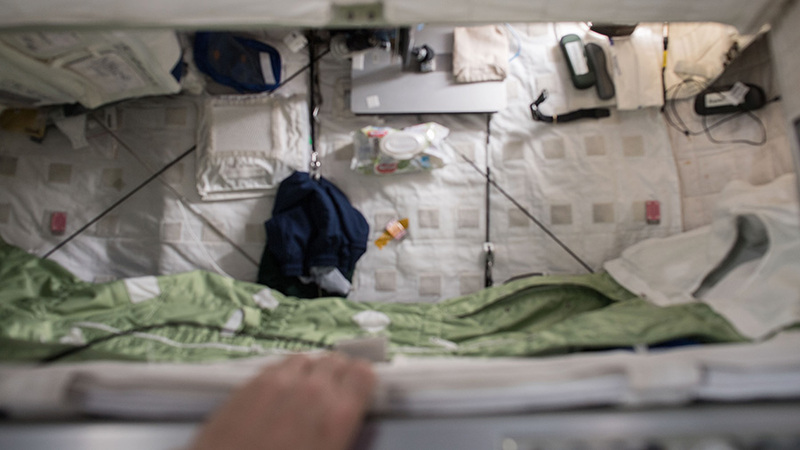 The Waste and Hygiene Compartment, or toilet, on the International Space Station. The smoke detectors have been setting off alarms. This happens routinely due to dust circulating in the modules, but every alarm is taken seriously. This is the third time that the alarm has sounded while I was using the Waste & Hygiene Compartment (toilet). I am starting to think that my actions are causing the alarms…. maybe I should change my diet?